If there's one lesson to take from Alton Brown's classic TV series Good Eats, it's that unitaskers-kitchen tools with only a single use-shouldn't take up precious real estate in your kitchen. And these scoops are no unitaskers. Sure, the tough stainless steel is perfect for dishing out frozen goodness, but the humble ice cream scoop is actually one of the most versatile kitchen tools. Ideal for creating consistent, uniform portions quickly, try using a scoop to portion cookies, pancakes, muffins or drop biscuits, ravioli filling or chicken salad, to shape meatballs and mashed potatoes, to create classic summertime melon balls. The possibilities may just actually be endless. And with three convenient sizes available, it's easy to pick your perfect portion. 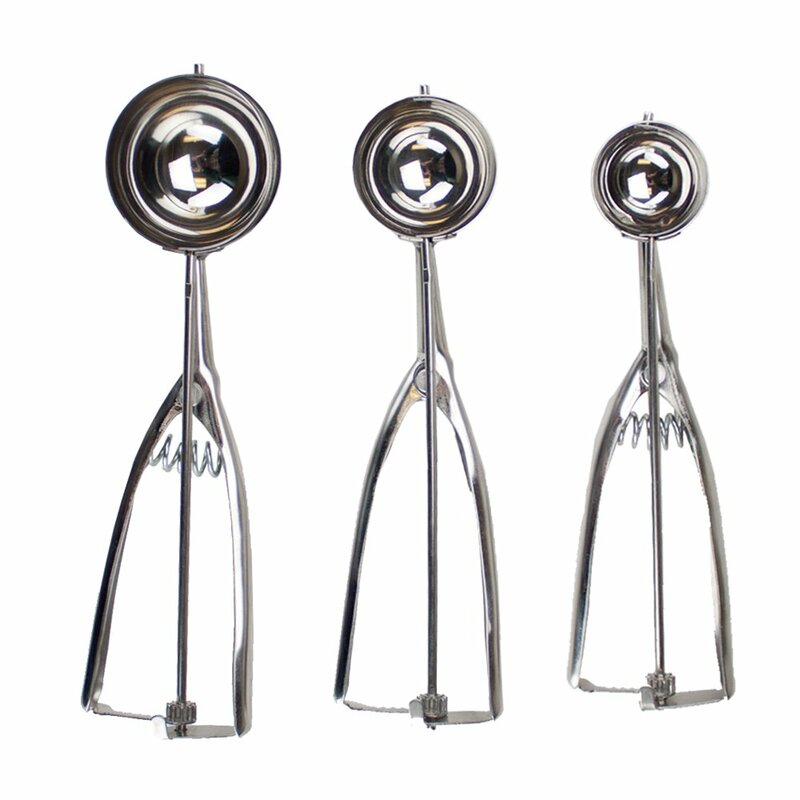 Heavy-duty with restaurant-quality mechanics, Kchen scoops are made from showy, corrosion-resistant stainless steel. Dishwasher safe and hassle-free.